Here are a few items that I learned about over the last couple of weeks. De Gruyter have published an edition of the fragments of the Ecclesiastical History of Gelasius of Caesarea, ed. Martin Wallraff &c, with a translation by Nicholas Marinides. The De Gruyter item is here. A “teaser” extract is now available on the translators Academia.edu page here. This is, of course, a very welcome addition to historical sources for the period, tho at $150 a pop I shall not i invest. Less expensive – indeed free for download online – is a translation of Book 3, chapters 1-30 of the Histories of John Cantacuzene (given as “John Kantakouzenos”; why not Ioannes Kantakouzenos, on the same logic?). It’s a thesis by Brian McLaughlin, and it’s great to have available, and is online at Royal Holloway here. Another bunch of free translations can be found at the St George Orthodox Ministry blog, http://www.stgeorgeministry.com/category/translations/. Homily 67 of Severus of Antioch; indeed quite a bit of Severus of Antioch. Finally another commercial item, which I happened to find quite useful in my work on Nicholas of Myra legends: John L. Hoh, Santa Claus: Is he for your child? 2011, eBook. It’s padded out with all sorts of stuff, but I found it a useful version of many of the popular stories. Not recommending it, you understand; but I didn’t know people were still publishing such things. Apologies for slow correspondence. I’ve had a winter bug. Hopefully I can start catching up now! 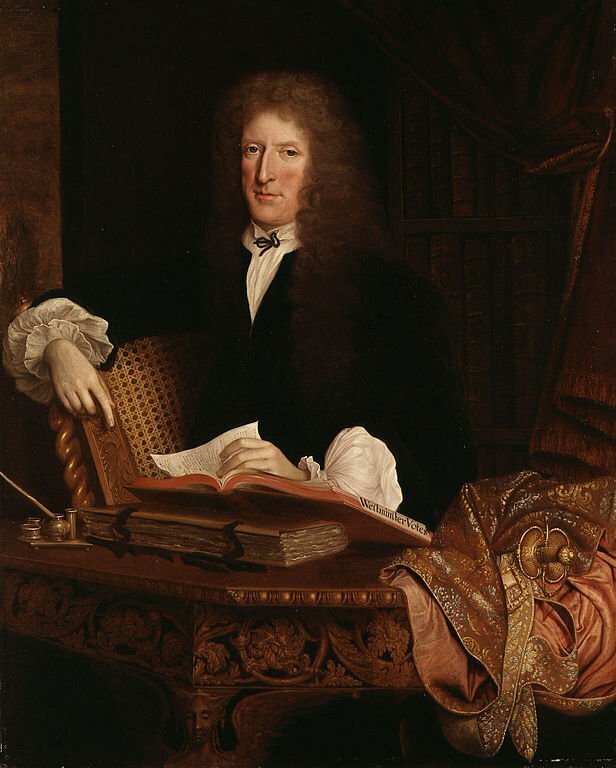 Sir Roger L’Estrange is probably mainly remembered today for his activities as a journalist and violent pamphleteer for the court during the reign of Charles II. As with others of Charles’ partisans, there was a strong element of ingratitude in all this. L’Estrange had fought for Charles I in the civil war, but had received a pardon in 1653 from Oliver Cromwell, after which he had prospered under the commonwealth. He was made surveyor of the press by the king in 1662, although the king did not see any reason to pay him a salary. But how many of us are aware that this controversial figure was also a translator, and produced a translation of the works of Josephus? A contemporary portrait of Sir Roger L’Estrange. Yet so it is; the work appeared in 1702. Even more interestingly, he became involved in a copyright dispute because of it! The facts may be found in an old article by A.W. Pollard, “Copyright in Josephus”, in The Library 30 (1917), p.173-6. Curiously Oxford University Press modestly ask for $44 in return for 24 hours access to this 101-year old item, here. In 1609 a certain Thomas Lodge, “Doctor of Physick”, produced a translation of The famous and memorable works of Josephus, based on the Latin and French. This went through a number of editions, and a new edition appeared in 1676, revised against the French translation of Arnauld d’Andilly. In 1693 a bookseller named Richard Sare advertised a new translation, by none other than Sir Roger L’Estrange. On the 3rd April a bill appeared, signed by a number of booksellers, threatening legal action! it being the Resolution of the Proprietors of the present English Copy, to use all lawful Means to vindicate their Right, and recover Satisfaction for the Damages they shall sustain by this New Undertaking; they and their Predecessors having been in just and quiet Possession of the same for near One Hundred Years, and having expended above Eight Hundred Pounds in amending their Translation by a Learned and Ingenious Hand, and in Printing a large Impression newly finish’d, now upon their hands. Sare issued his own bill the next day, stating his intention to go on with it and disparaging the Lodge translation as “senseless”. The new edition of Lodge did really exist, and really did appear in 1693, printed by Abel Roper, one of the signatories of the first bill. The L’Estrange translation did not appear until nine years later, with the preface dated 28th January 1702, only a couple of years before L’Estrange’s death. By that time the Glorious Revolution of William and Mary had come and gone. The translator must have seemed like a ghostly figure from another age, as of course he was. Pollard attributes the delay to bribery. He points out that the owners of the Lodge translation had already made a substantial investment, even in their own terms, and paying off Sare or L’Estrange would have been worthwhile. The claim to perpetual copyright in the translation is in keeping with the strange ideas of that age, and indeed was recognised by the old Common Law. This somewhat vague right was reinforced, as was thought, by an Act of Queen Anne in 1710, giving copyright of 21 years exclusively to the publisher. But what happened when the Queen Anne act expired? There was a lawsuit, of course. The essayist Augustine Birrell in “Authors in Court”, whom it is always a pleasure to read, recounts the matter. These proceedings found their way, as all decent proceedings do, to the House of Lords — farther than which you cannot go, though ever so minded. It was now high time to settle this question, and their lordships accordingly, as was their proud practice in great cases, summoned the judges of the land before their bar, and put to them five carefully-worded questions, all going to the points — what was the old Common Law right, and has it survived the statute? Eleven judges attended, heard the questions, bowed and retired to consider their answers. On the fifteenth of February, 1774, they reappeared, and it being announced that they differed, instead of being locked up without meat, drink, or firing until they agreed, they were requested to deliver their opinions with their reasons, which they straightway proceeded to do. The result may be stated with tolerable accuracy thus : by ten to one they were of opinion that the old Common Law recognised perpetual copyright. By six to five they were of opinion that the statute of Queen Anne had destroyed this right. The House of Lords adopted the opinion of the majority, reversed the decree of the Court below, and thus Thomson’s Seasonsbecame your Seasons, my Seasons, anybody’s Seasons. Big money rested on all this. Thomson the poet had sold his right for three of the Seasons to a certain Millar for a £242. When Millar died in 1729, after selling the work for more than 40 years, his heirs sold the Seasons to a certain Beckett for £505. Beckett himself sold the item also for more than 40 years. All the same, claiming copyright on any English translation of an ancient author required quite a bit of impudence. What did Sir Roger L’Estrange get for his translation? For his folio volume of 1,130 pages, he received £300, plus a sixth part of the gross sales, plus 25 ordinary copies and 25 on royal paper. The ordinary copies were priced at 25s, and the royal paper copies at 45s. The edition was obviously a success, for a new edition in three volumes was accidentally destroyed in 1712 by a fire in the printer’s office. There seem to have been reprints well into the 19th century. I have not been able to locate a copy of L’Estrange’s work online. It wouldn’t meet modern standards, I am sure. But the tale is an interesting corner of the history of literature. Brockelmann’s GAL translated into English?? Anybody who wants to know anything about Arabic literature must rely on the seven-volume textbook by Carl Brockelmann, Geschichte der Arabischen Litteratur. The work lists the authors and their works from the beginning in the 6th century down to modern times, with a bibliography for each. Unfortunately the work is a complete mess, with inscrutable abbreviations and so on, mainly because Brockelmann fell into the hands of a swindler who cheated him badly in the publication. But it is all there is. It is possible to find all of it online these days; but it is in German, and it is quite unreadable. (Christian Arabic literature was omitted). An introduction by Jan Just Witkam – who in a Brill reprint of Brockelmann explained finally why the GAL was such a mess – is a very welcome addition. I’ve been working about three years on this, full time. It was quite a job, I can tell you! I expect that by the end of Q2 2018 the whole thing will be done. This marvellous undertaking may well spark a renaissance of studies of Arabic literature. For the first time it becomes possible for ordinary people to get a handle on what exists. So far there are 3 volumes on the Brill website; the first two volumes of the original edition, and the first volume of supplements. But I understand from Dr. L. that a fourth volume is complete and with the publisher. I would go and buy a set at once myself. I would recommend that everyone do so. Except… volume 1 alone is $210. The ebook is the same, which is cheeky. Online access is $3,500, although of course this is intended for libraries who get grants for such things. If I understand how the project was structured then Brill are genuinely trying to recover some significant costs here. That is quite understandable. It is wonderful that the project has been undertaken at all. But once those costs have been recovered, would it be too much to ask that they consider producing the volumes at $25 each in paperback? Let a million copies be sold! Posted in From my diaryTagged Brockelmann, Information access7 Comments on Brockelmann’s GAL translated into English?? University research is generally funded from the public purse. The results, however, are published in peer-reviewed academic journals, many of which charge subscription fees. I had to use freedom of information laws to determine how much universities in New Zealand spend on journal subscriptions to give researchers and students access to the latest research — and I found they paid almost US$15 million last year to just four publishers. There are additional costs, too. Paywalls on research hold up scientific progress and limit the public’s access to the latest information. Even better is that one university was paying markedly more for the same access than the others. It’s just four companies, doing this. How long will this cartel be permitted to plunder us all? A translation of Basil the Great’s commentary on Isaiah is online! A kind correspondent drew my attention to the fact that there is an English translation of Basil the Great’s Commentary on Isaiah accessible on Academia.edu here. This is the page of the translator, Nikolai Lipatov. Grab your copy now! Posted in From my diaryTagged Basil the Great, Information access1 Comment on A translation of Basil the Great’s commentary on Isaiah is online! A kind message informs me that David Gohl’s translation of the remaining books of Origen’s Commentary on Matthew (which I discussed here) has now reached book 16. He has translated this, and uploaded it for comment to Academia.edu here. Excellent news! Grab your copy while it’s hot! A delightful discovery this week. Cambridge University Press have released the 3rd edition of the Cambridge Ancient History online at Archive.org! All 19 volumes! It’s here. Those red-clad volumes were £40 each back in 1979. I used to save up birthday money to buy a volume. I still have them. They were never as exciting as I wished they would be. The 3rd edition was still coming out then. Why have less than 5% of Byzantine scientific works been published? A few days ago, I noted that only 5% of all Byzantine scientific works have managed to make it out of the medieval manuscripts and into a printed edition of some sort. For translations the figure is worse still. The figure is an estimate by Byzantinist Maria Mavroudi, who works with the subject and certainly would know. As a member of the public, I wonder if I might ask … why is this the case? Is it simply fewness of hands, or lack of an audience? Or lack of funding? The reasons are everything that you mention: lack of interest on the part of modern scholars, based on the conviction that there is anything worth the while there (the “good” stuff is ancient science, while its Byzantine counterpart is a pale imitation lacking in “original” contributions). Fewness of hands is also a serious problem (there are very few people able and interested in editing texts on ancient science which is admittedly more mainstream, although not exactly mainstream). Editing technical texts requires not only knowing the language and editorial techniques, but also understanding the content of what one edits. Too many skills, all time consuming to acquire, are required of one and the same person. Funding can be a problem, but it is last in the priority list, and can manifest itself in various ways (e.g. scholars on an academic salary do not need to be paid for the specific work of editing; but publishing is expensive, the editions of such technical texts will never be best sellers, and frequently publishers shy away from producing such editions because they project little or no financial reward). I attach an encyclopedia essay that outlines some reasons for the lack of interest in Byzantine science. In summary, what is currently known about Byzantine science is significantly less than what remains to be uncovered. In order to be properly appreciated, Byzantine science must be understood as a coherent system of thought taken in its own terms. Modern divisions separating scientific disciplines were not perceived by the Byzantines in the same way (Mavroudi 2006), though they have been applied to the Byzantine material in valuable scholarly surveys (e.g., mathematics and astronomy as categories distinct from astrology in Hunger 1978, 1994; “high” and “low” science in Pingree 1991). The complex relation between tradition and innovation in the transmission and creation of new knowledge was neither experienced nor articulated by the Byzantines in our modern terms. Byzantine philosophical, cosmological, and scientific thought developed in dialogue with Christian theology and sometimes influenced the articulation of Christian doctrine (Magdalino 2006). It is interesting to learn that funding is not the worst problem facing the discipline. I understand that domain knowledge can be acquired by intensive short courses, e.g. in alchemy. The cost of publishing may cease to be an issue with online publishing. The link to patristic studies particularly catches the eye. Perhaps some of the PhD students now frantically casting around for a teaching post should consider whether there is a career in Byzantine science? Hardly anything has been done. The challenge may seem daunting, but surely it is far better to use your Greek and patristics knowledge, than go and sell insurance? I have been collecting materials, and I will write a post on the bibliography of Byzantine science next. Posted in From my diaryTagged Byzantine Science, Information access, Maria Mavroudi8 Comments on Why have less than 58 of Byzantine scientific works been published? As manuscripts of the Vatican come online, it becomes possible to look at items previously known to us only from poor-quality photographs. This is a good thing. 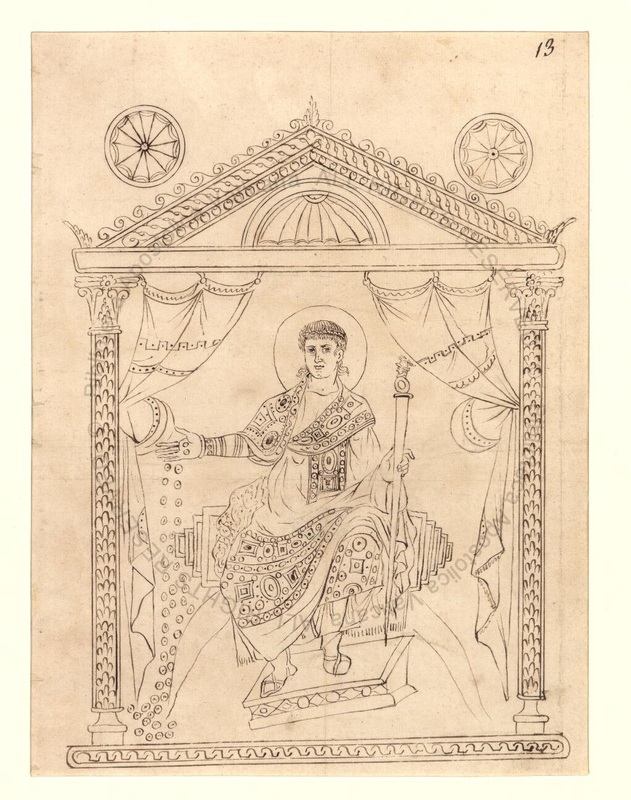 Years ago I made an online edition of the Chronography of 354, an illustrated luxury manuscript made for a Roman aristocrat in 354 AD, and transmitted to us by copies. The pictures exist in various versions, mostly derived from a Carolingian copy now lost. The best set, in monochrome, are preserved in Vatican Ms. Barberini lat.2154 B. Sadly the full colours of the ancient original are not preserved; but the renaissance artist did his best to copy the Carolingian original. Less than 5% of Byzantine scientific texts have been published? Today I came across a statistic which really shocked me. It seems that less than 5% of Byzantine “scientific texts” have been printed, never mind translated. The phrase “scientific texts” would include technical texts which give practical instruction, but also the philosophical texts that discuss what would today be scientific theories. It would be interesting to know how the ancients, and indeed the Byzantines, related the two. We are often told of the gap between philosophy and technology in antiquity; yet we have writers like Hero of Alexandria doing both. The treatment of Byzantine science has fared equally poorly in modern scholarship… It is much more important to investigate the pertinent primary sources. In the case of Byzantium, this would require a major editorial effort because less than 5 percent of its surviving scientific and philosophical production has been published. 43. There is no “official” statistic on this; 5 percent represents my estimate through acquaintance with important manuscript catalogs and published texts (surveyed in Mavroudi, “Occult Science and Society in Byzantium,” 39–46) as well as Byzantine manuscripts. It would be possible to recover Byzantine philosophy and science (as well as their Latin, Arabic, and Hebrew counterparts) by publishing not only treatises composed during the Byzantine period but also the marginal annotations made by Byzantine readers in important manuscripts of ancient philosophical and scientific texts. Obviously the figure of 5% is an estimate only. But I’m sure Dr M. knows better than most people. Why is the figure so low? I would guess that there is a lack of scholars capable of doing the work – it requires getting familiar with the scientific area of knowledge, and specialist vocabulary, as well as having excellent Byzantine Greek. But I am told that it is possible to cram in such information in a few sessions. If so, it is a pity that our universities do not encourage students to do so, rather than fruitlessly retranslating the same few Greek texts. Regular readers will be aware that I have written a little about ancient alchemical texts, like those by Stephen of Alexandria. Apparently Matteo Martelli, Gerasmios Marianos, Olivier Dufault, and Michèle Mertens are the scholars doing good work on Byzantine alchemy these days. It is good that work is being done. But limited access to primary sources must mean limited work. All this sort of material could, in principle, give us more knowledge of antiquity – although I found that astrological texts seldom did so, when I obtained a few translations. But … it is part of the heritage of mankind. Our first duty to the future is to transmit what we have received. Can’t someone find a rich Greek shipowner to fund the printing of all this stuff? How much could it cost, to type it up and put it online? It is, after all, Greek heritage. Would the excellent Stavros Niarchos be interested? Posted in From my diaryTagged Byzantine Science, Information access18 Comments on Less than 518 of Byzantine scientific texts have been published?